What Is The Red Frame Piece In Picture? I would like to know the name and part# for the red frame piece in picture. The one that is holding the white cupboard door. Thanks. Not the answer you're looking for? Browse other questions tagged piece-information part-identification or ask your own question. What are the names for these two pieces of a car chassis and a piece for above the wheels? 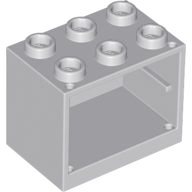 Why are some of the supports on bottom of a lego piece hollow, and other are solid? What is this black brick with red tubes inside? What set is this piece from? 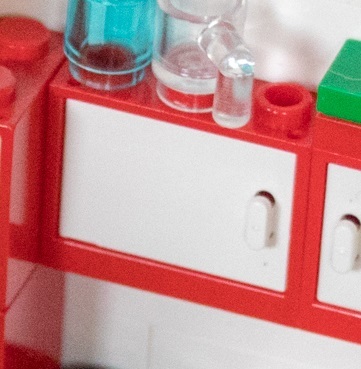 How can I find brick part number from a picture? What is the name/part# of this round part?